Services for Randel Anderson of Norfolk will be held at First Christian Church in Norfolk at 10:30 am. on Monday, January 28th. Reverend Randall Coffin will officiate. Visitation will be at Home for Funerals in Norfolk on Sunday, January 27th, from 3:00 pm. to 7:00 pm. Burial will be at Woodlawn Cemetery in Wausa, Nebraska, on Tuesday, January 29th, at 2:00 pm followed by lunch at the Covenant Church in Wausa. Randel died at home on January 22nd, sixteen and a half years after being diagnosed with pancreatic cancer and fifteen years after his liver transplant. Randel Frank Anderson was born June 12, 1946, in Norfolk to Delwyn and Ruth (Talich) Anderson. He lived his entire childhood and through high school in Wausa where he worked in his Dad’s grocery store. In 1964 he graduated from Wausa High School where he had participated in every sport, class plays, and music. He graduated from Nebraska Wesleyan University in 1968. Randel continued his education at Garrett Theological Seminary in Evanston, Illinois, and graduated with a Master of Divinity degree in 1973. 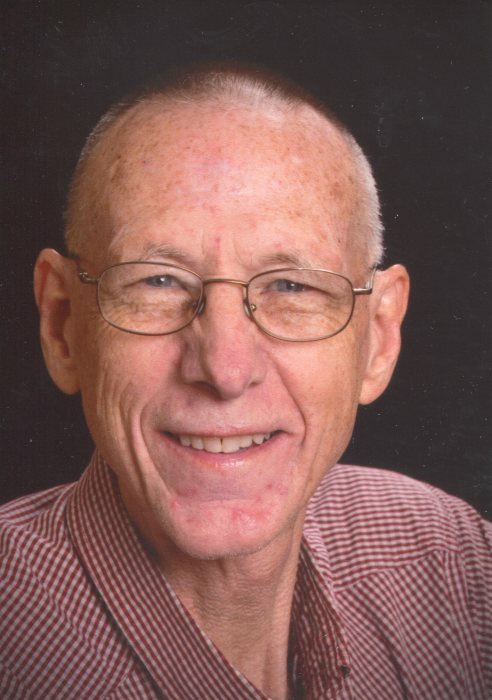 He was ordained into the ministry of the United Methodist Church and served Nebraska churches in the communities of Macon, Spring Valley, Upland, Minden, and Valentine. In 2015 he served as interim pastor at the First Baptist Church in Norfolk. Randel also worked in financial services with Primerica for several years. Primarily he was an artist and pursued that as a fulltime career for many years. He loved the beauty of God’s creation and recreated it in many paintings and drawings. He did commission work and taught art classes to all ages. Randel married Betty Gustafson also of Wausa on August 15, 1969. Together they shared in their occupations, family life, and love of people. They were blessed with three children, Grant, Brett, and Elise, as well as an unofficially adopted son, Jerardo. Randel was Papa to five grandchildren. His entire family was blessed by his servant leadership and inspiring faith. He loved each one in his family deeply and loved spending time with them. He was a friend and role model to many others. He was never too busy to listen. Faith was the cornerstone of Randel’s life. He lived in awe and wonder of his Creator and creation. His optimism and positive attitude were inspiring especially in dealing with his illness. He was fun loving with a great sense of humor. Adventure was the norm with Randel. He marched for civil rights after hearing Martin Luther King, Jr. in person, rode a small motorcycle to Washington State, traveled to Czechoslovakia with Betty when it was under Soviet occupation, worked to improve conditions in a migrant camp, slept on an island in the middle of Lake Titicaca, and with family members camped across Europe four times. After receiving his transplant (Are you registered?) he participated in the Transplant Games seven times both in the United States and in Sweden. He won medals for running and throwing the shot put. His cameras were always present to get pictures of family or travels. He and Betty traveled all over the United States and also to the Caribbean, Canada, Europe, Mexico, and South America. Randel was preceded in death by his father, mother and father-in-law, Oliver Gustafson. He is survived by his wife, Betty, of Norfolk and their children, Grant and Sarah Anderson of Omaha, Brett Anderson of Lincoln and Everywhere, Elise and Brad Henke of Vancouver, BC, Canada, and Jerardo Romero of Norfolk. His grandchildren are Rose, Calvin, Caroline, and Oliver Anderson and Sage Henke. He is survived by three brothers, Doug and Janet of Trout Lake, Washington, Rolan and Karen of Lakeville, Minnesota, and Lyman and Sandy of Johnson Lake, Nebraska, as well as his nieces and nephews and their families. His family through marriage includes his mother-in-law, Leona Gustafson of Wausa, Nebraska, and sisters and brothers-in-law, Verlene and Gary Carlson of Clifton, Kansas, Norma and Marlon Vogt of Marion, Iowa, Karen and Dan Sedlacek of Spirit Lake, Iowa, Arden and Marcia Gustafson of Norquay, Saskatchewan, Canada, and Janet and Randy ElDorado of Lincoln, Nebraska, and their families.